This cake was an almalgamation of two recipes which I’ve used plenty of times before. The cake part came from John Whaite’s first book John Whaite Bakes which contains a delicious recipe for a White Chocolate and Raspberry Cake. 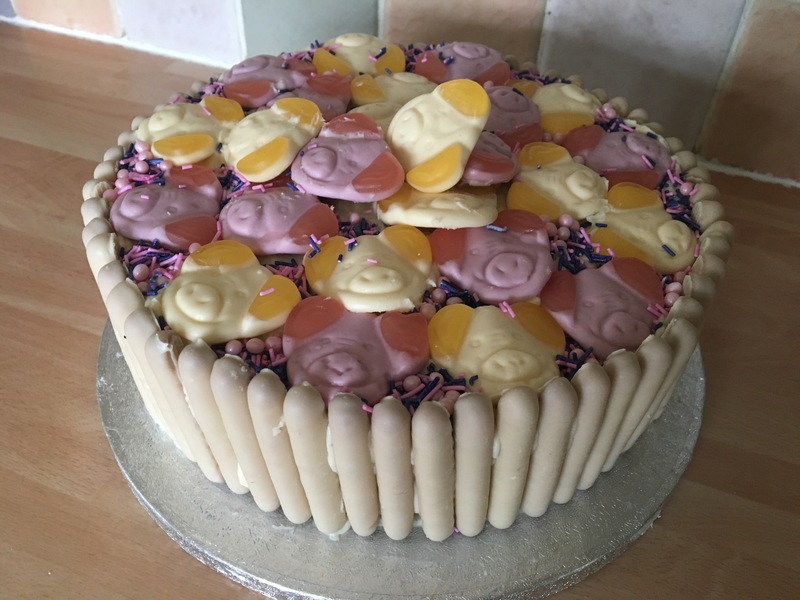 The decoration idea came from the second Clandestine Cake Club Cookbook A Year Of Cake which has a fantastic recipe for a Cadbury’s Chocolate Finger and Smartie Cake in it. This opened up lots of ideas to adapt a design to suit flavours and themes. I was off to a Clandestine Cake Club event in Leeds which was held in the historic Tetley building. I remember the days of the brewery being open in my childhood when I used to see the shire horses delivering the beer to the local Leeds pubs. I was very impressed with the bar and restaurant at The Tetley and hope to go back to look around the exhibition soon. 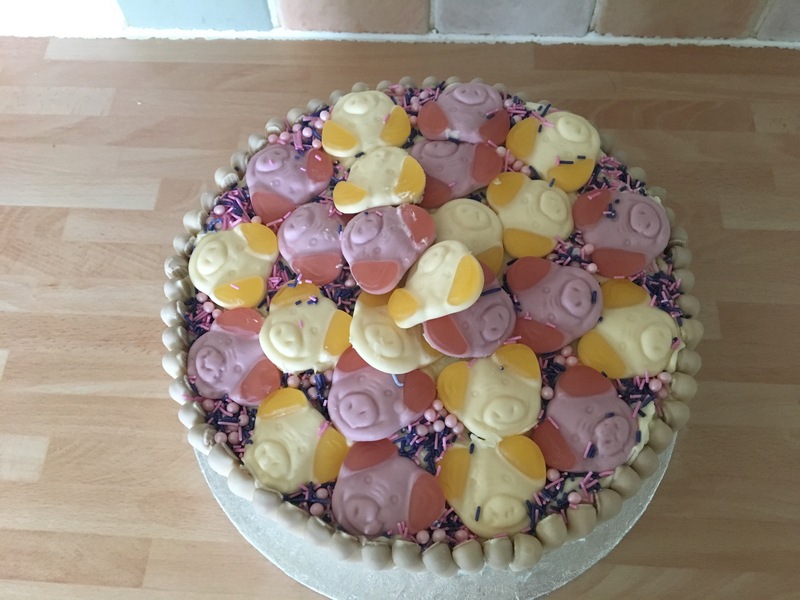 The theme for this cake club was Childhood Sweets and I chose to incorporate Percy Pigs on my cake. Incidentally Percy Pigs just celebrated 25 years which gave me the idea. I was definitely not a child when Percy Pigs came out but my own two children love them and we always buy a bag if we go on a long train journey. I can’t stop eating them! To assemble the cake together I made up some white chocolate buttercream with Lindt White Chocolate and some Sugar and Crumbs White Chocolate and Raspberry natural flavour icing sugar. I was so excited to use the icing sugar as it is one of Sugar and Crumbs’ new flavours brought out for this summer. It smelled wonderful and definitely tasted of white chocolate and raspberries, just heavenly. 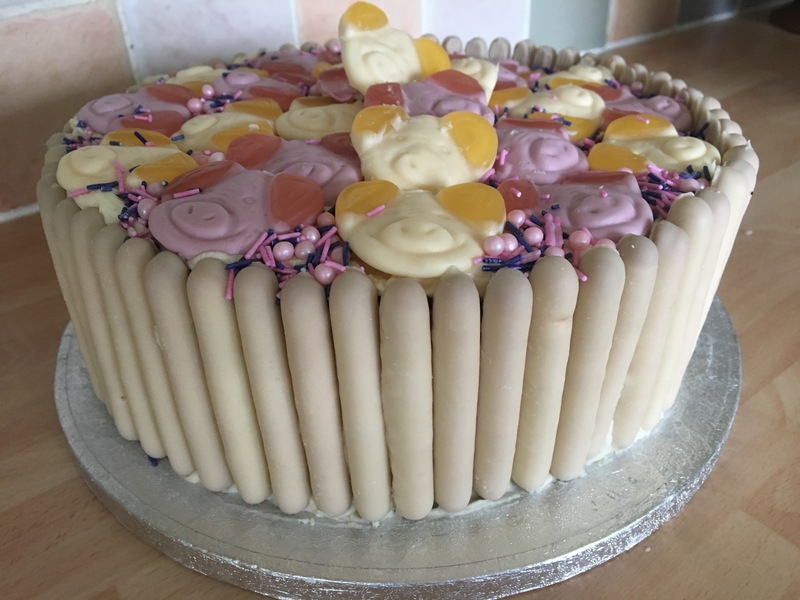 My White Chocolate and Raspberry Percy Pig Cake for The Clandestine Cake Club event I went to a couple of weeks back. The theme was Childhood Sweets. All ready for baking and decorating the cake. I used two different recipes for inspiration. In the end I didn’t put any marshmallows on the cake as there wasn’t room for them. Percy and Penny Pigs. Funny how these favourite sweets have family names. My grandad was called Percy and my mum is called Penny! I used to love Cadbury’s Chocolate Fingers but not now. I hate to say it but the white chocolate ones tasted rank. 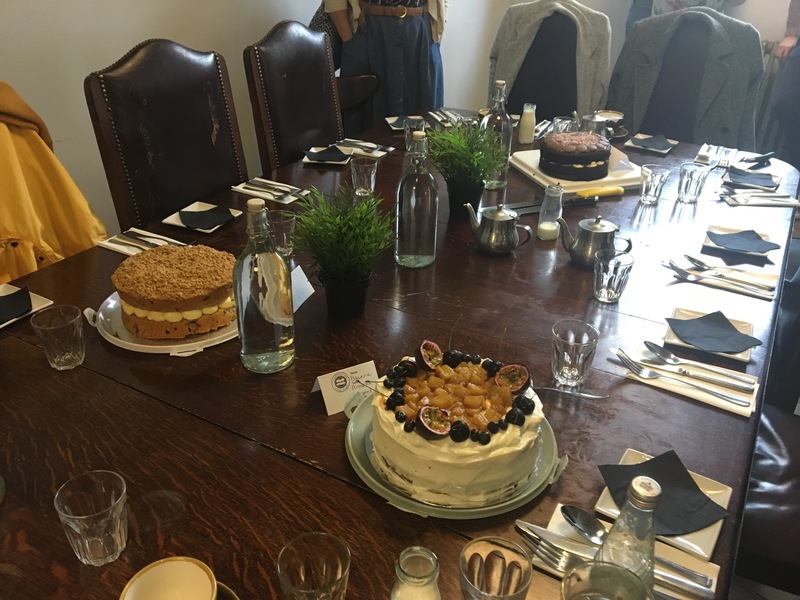 We had our own special room reserved for us at Cake Club. My friend Amy’s beautiful Sweet Shop Neapolitan cake. It tasted and looked beautiful. 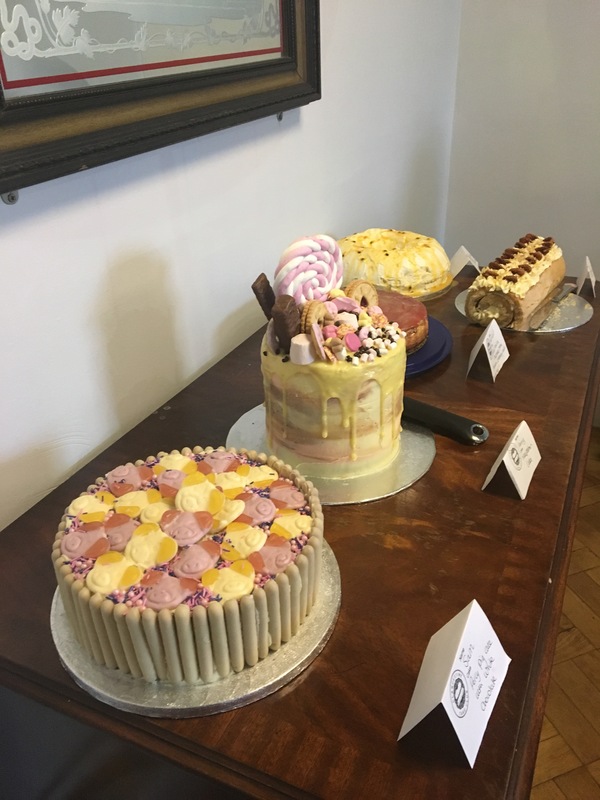 Here are just a few of the photos of my cake and also of some of the other cakes at the event. It was a wonderful evening and I enjoyed far too much cake! I still had a sugar high the day after! Next Post White Chocolate and Pistachio Blondies.